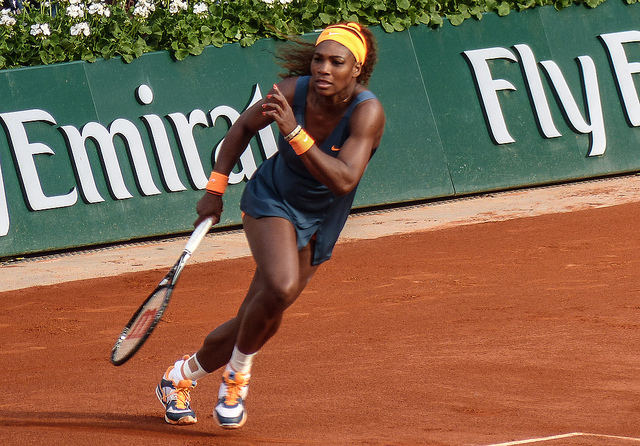 Was the 2014 French Open Serena Williams’s Worst Loss Ever? Anyone that’s seen an athlete on the tail end of their career knows that the story’s got different inflections before ultimately reaching the same conclusions. The body can’t do what it once did, and the professional, facing the terrifying prospect of having to redefine themselves in their early 30s — a process made better by the lucrative endorsements and the relative fame and fortune — starts to seriously consider retirement. We thought we were seeing that with Serena Williams three years ago, when her incredible 2010 Wimbledon victory was overshadowed by an early exit from the professional scene after injuring herself on some glass. She came back, of course, in 2011, was dominant again by 2012, and this time last year she delivered one of the best French Open performances by anyone ever. When Serena Williams is on, she’s the best women’s tennis player in the history of the game, full stop. After two decades filled with more accolades and more wins than anyone can keep track of, if All Capitals SERENA is playing, then there’s not a whole lot anyone can do to stop her. Sometimes, though, when it’s Serena Williams that shows up, the results are not quite as one-sided as they might appear to be on paper. That said, when Williams lost to Garbiñe Muguruza in a pair of 6-2 sets, the result was shocking. Objectively, this is Serena’s second worst loss in recent history. She was defeated in the first round at Roland Garros in 2012. That match, though, was a head scratcher. Over three hours, Williams committed 47 unforced errors and simply played poorly, losing to Frenchwoman Virginie Razzano in three sets. Not to spend too much time splitting hairs, but the difference between 2012 and this year was that Serena lost the match in 2012. This year she got beat. That, up there, is Garbiñe Muguruza, the 20-year-old Spanish-Venezualan who went pro in 2012 and has never been ranked higher than 32nd in the world — she is currently ranked 35th. Unlike Razzano, who is a fine player but was almost certainly gifted her French Open win by Serena’s terrible play, Muguruza completely dominated. While Williams didn’t play particularly well (no one can be said to play well if they finish a match with only 8 winners to 27 errors), Muguruza played what has to be the game of her career so far, in only her second French Open appearance. For the completists, she finished with 12 winners and 18 errors. This match may go down as the beginning of the end for Serena Williams, an early Grand Slam exit in a game she lost, rather than gave away. Of course, we all said the same thing back in 2012, and spent the next couple years watching Williams return to form, and arguably play better. Still, though, this stands as one of her most ominous losses yet, especially with Wimbledon only a month away. With Williams (the number one seed) and Li Na (the number two seed) both eliminated from the tournament, we can officially declare Roland Garros wide open. Also, if you’re looking for footage of Serena’s defeat, we’ve found the last minute and a half on YouTube. Check it out below.